It’s almost May — if you haven’t started planning your summer travel plans, what exactly are you waiting for? Now is an ideal time to travel: since it’s off-peak, prices tend to be lower. However, if you don’t have time to travel now, you can still use your credit cards to save money toward a vacation this summer. 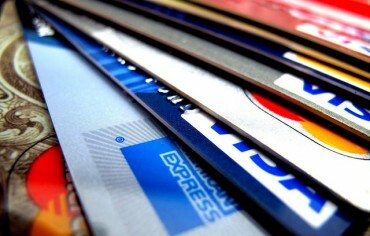 Using credit cards to save money sounds weird, right? If used responsibly, you can reap the benefits by simply charging your everyday purchases to your cards. Frequent travellers are typically better off using one of the best travel rewards credit cards, but cash-back credit cards are growing in popularity. With cash-back credit cards, there’s no need to worry about points expiring, blackout dates, or paying taxes. You’re dealing with cash, which is easy to understand. The trick is to save those cash back rewards specifically for your travel plans. This is easy if you consider the rewards as part of your travel fund, but there’s also nothing wrong with using those rewards on something else. The key thing to know is when you can cash out your rewards. If you have a card that only issues cash back rewards annually, you’ll want to set a reminder in your calendar. Before you book your plane tickets or other travel expenses, read the travel insurance policies of all your credit cards to see what you’re entitled to. When you’re ready, charge those purchases to the credit with the best travel insurance so you’ll be covered during your travels. 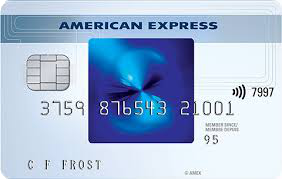 The SimplyCash Card from American Express is a popular card for everyday spending since it offers 5% cash back on gas, groceries, and restaurants (within the first six months, up to $250), and 1.25% on everything else. There’s no annual fee, but the downside is that the cash back rewards can only be applied to your credit card statement once a year. 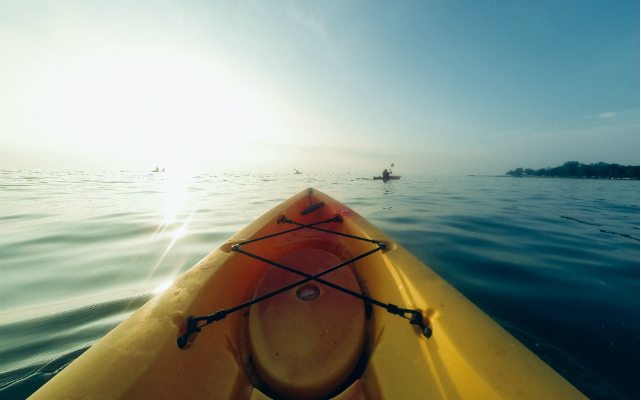 The included travel insurance benefits may appeal to casual travellers. You get complimentary car rental theft and damage insurance, which covers damage or theft of your rental car with an MSRP of up to $85,000. You’ll also get up $100,000 of accidental death and dismemberment insurance (not to be confused with travel medical insurance). This insurance covers you, your spouse and dependent children under the age of 23 from accidental death and dismemberment when any of you travel on a common carrier (plane, train, bus or ship). To qualify the included insurance, you must charge the entire cost of the car rental or travel tickets to your SimplyCash card. Although the Scotia Momentum Visa Infinite has a $99 annual fee, the increased cash back categories are appealing to people who spend a lot. Here are the cash back percentages that cardholders get. 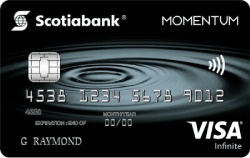 Simply put, the Scotiabank Momentum Visa Infinite offers some of the highest cash back rewards available. 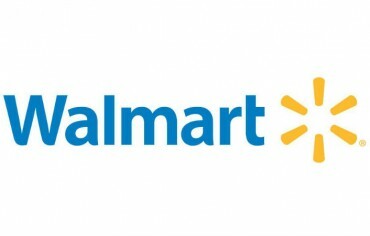 Couples or families who drive a lot can easily earn hundreds of dollars in cash back rewards every year. Note that the cash back is earned at the end of the month, but is awarded annually as a statement credit or deposited to your Scotiabank chequing account (if you have one). In addition, cardholders get a comprehensive travel insurance package that covers travel emergency medical, trip interruption, flight delay, delayed and lost baggage, travel accident, and rental car collision loss/damage insurance. 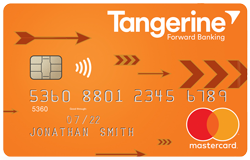 Finally, there’s the Tangerine Money-Back Credit Card. What makes this card unique is that the cash back rewards are deposited monthly and you’re allowed to pick two categories that will earn you 2% cash back. You can earn a third 2% category by having your cash back rewards deposited directly into your Tangerine savings account, while all other categories earn 0.5% cash back. Travelling may not be your passion, but having a having a good cash back card can help offset costs when you do decide to take a trip. Battle of the Banks: BMO Bank of Montreal vs. Scotiabank What Comes to Mind When You Picture Your Dream Home? Air Miles is one of the most recognized rewards programs in Canada. If you want to earn points faster, you should consider getting an Air Miles credit card.